On the 14th of April 1986, Ronald Reagan ordered an air raid on Libya. The bombing of Tripoli and Benghazi took place on 15 April 1986. Pan Am 103 was destroyed over Lockerbie on 21 December 1988. So, Amber Phillips and her Washington Post editor are obviously dead wrong. Instead of smearing U.S. news sites that are critical of U.S. foreign policy, the Post should work a bit harder on its own stories… Full Stop. 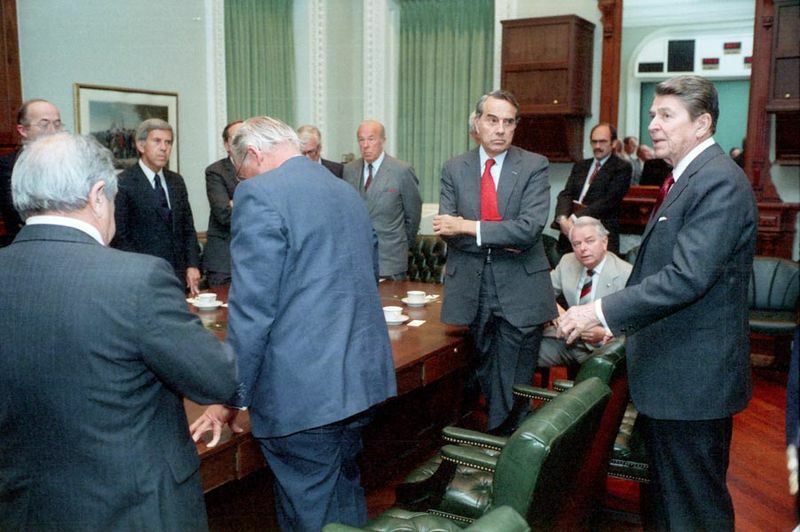 If you read this blog, chances are they you are familiar with the Iran-Contra Affair. At the same time, it is quite likely that you have never heard of a major US scandal that was running parallel to the Iran-Contra Operation. The two operations were in fact two branches of a single policy. If the delivery of weapons to Iran was the “Carrot” part of the plan suggested in the 1985 “Fuller MEMORANDUM”, the disinformation regarding “Libyan terrorism” was the “Stick”. The facts are well documented. But as the world — and the US Congress — discovered with horror the Iran-Contra Affair, the “Libyan Scandal” was quickly forgotten… There never was an investigation. And only one person resigned over this affair. Here is the story of one of the major US scandals you may never had heard of. A witness names the cables’ recipient as Said Rashid. “The despicable attack in Berlin fits the pattern of increased Libyan activities including Rome and Vienna. We have suspicions that this bombing is part of that pattern.” Bernard Kalb. German authorities do not support this theory. Around this day – DDI Richard Kerr and Tom Twetten are sent to the White House to explain what the CIA could do “to apply psychological pressure on Gaddafi”. Twetten said it would be no problem for the CIA “to plant false stories in publications abroad” to unnerve Gadaffi. Reagan signs NSDD: Deception and disinformation. Keep in mind that without this MST-13 timer, PT/35(b) [The key evidence in the Lockerbie investigation] would not have helped the Lockerbie investigators since it would never have been matched to a MST-13 MEBO timer. Senator William S. Cohen, Republican of Maine, a member of the Senate Intelligence Committee, said he grew worried last summer while reading news reports indicating that Colonel Gaddafi had become increasingly unstable and was facing internal threats. In our opinion, it is very likely that the Togo Timers (MST-13 from MEBO) were actually planted by a US Intelligence Agency in order to feed false accusations to the media about “Libyan Terrorism” activities in the context of the 1986 Disinformation Campaign. Three years later, these very same two timers will become instrumental in establishing the responsibility of Libya in the destruction of Pan Am 103. Many experts believe that PT/35(b) — the infamous fragment of the swiss timer found at Lockerbie — was indeed fabricated and planted at the site to point the finger at Gaddafi. For those interested in the Lockerbie Trial tragedy, I recommend the excellent blog of Professor Black: TheLockerbieCase. Those who want to study the forensic history of PT/35(b) will find many resources and original documents on the PT35B blog. Also, you may want to check the blog of Dr Jim Swire and Peter Biddulph: The LockerbieTruth. This entry was posted in Disinformation, Gaddafi, History, Journalism, Libya, Lockerbie and tagged Bernard Kalb, Disinformation, Journalism, Libya, Lockerbie, US, Washington Post. Bookmark the permalink.